New for August 12: In addition to our walking and sampling tour, we are also offering a ​RIDING and sampling tour! 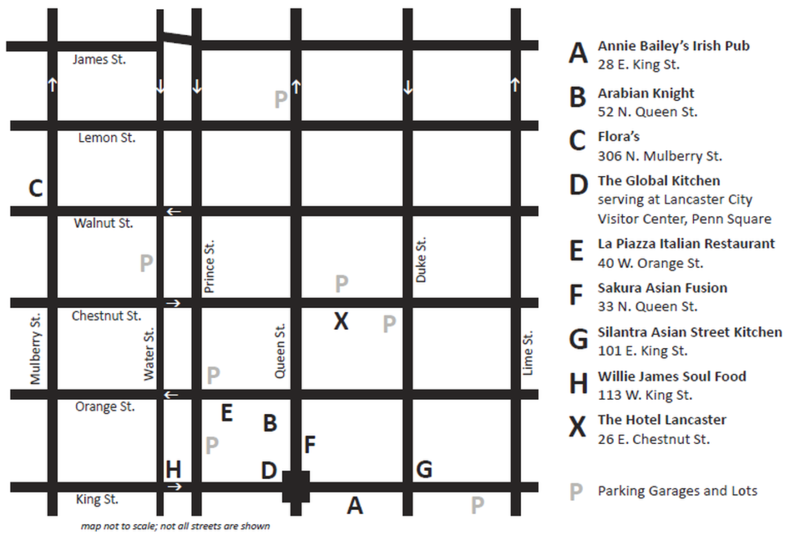 Board the Taste the World van at 5:15 p.m. at the Hotel Lancaster for a ride past all the participating restaurants. Your tour guide will pick up your food servings for you at each restaurant. End up back at The Hotel Lancaster lobby to sit down and eat the servings, or take the food home with you. Note: Tickets for the riding tour are sold out. Beat the heat with a meatless feast. You will receive a map in your passport ticket with the participating restaurants marked. You don't need to print this one.